You are here: Home / Blog / Uncategorized / Paper machine clothing prone to paper disease. Paper machine clothing prone to paper disease. 1.The sloshing of the net department and the sloshing of the net edge are one of the main causes of paper disease. When it is light, there will be a paper hole at the edge of the paper, or a cracked edge will occur. When it is heavy, it will cause a paper break. The sloshing of the network is generally caused by the unclean edge of the core layer. > Noodle net> bottom net). The net edge of the core layer is not clean, which may be due to the poor adjustment of the blanking water, or it may be due to the fluctuation of the liquid level of the outer white flume and the movement of the forming network. At the outlet Angle of the top and core networks, sometimes the slurry is also sloshing, which is because the slurry on the edge of the net gathers too much, and special attention must be paid when manufacturing high-grade papers. 2.Water Needle: The water needle can be said to be a key to a paper machine, special care must be taken in its maintenance. First of all, the pressure of the water needle should be appropriate. If it is too big, it will splash the slurry. If it is too small, there will be danger of cutting constantly. In the process of the paper, attention should be paid to the change of the pressure of the water needle. When pulling the water needle to adjust the width , it should be slow and steady. The prerequisite for proper use of the water needle should be the cleaning and scaling control of the water source, so as to prevent the water needle from working properly because of the clogging and scaling of the small matter. 3.Net Department of high-pressure water: Net Department of high-pressure water is responsible for cleaning, if the high-pressure water blocking, the forming network will be blocked by fine fibers and resin, and make curtain paper disease (white bars) due to poor dewatering of the net department. 4.Spraying starch tube: Spraying starch tube is easy to produce paper disease, starch spots, small bright spots (because the pressure of sprayed starch is too high), sometimes the pressure of sprayed starch is too small, the starch does not become mist, but starch is dripping.This will also cause a continuous starch paper drop on the paper. 5.Regulation of the vacuum in the network: the vacuum of the network should be adjusted to the vacuum of the wet suction box, so as to ensure the return flow of the white water in the lower part of the network: the position change of the water line should be paid attention to when adjusting the vacuum. The vacuum degree of the transfer of paper is guaranteed, otherwise there will be a pulp strip in the case of a bad peeling of the paper. 6.Scaling of the vacuum roller: whether it is the vacuum pressure roller, vacuum suction roller or the finishing roller, it is often caused by scaling, which causes the fouling of the roll hole. This is also unavoidable in most paper mills. Similarly, the scaling of the vacuum dewatering plate will aggravate the wear of the forming network. We use the scale control agent of Jining Jundeli Chemical Technology CO., LTD., and choose the suitable dosage position and dosage, which has successfully solved the scaling problem of the vacuum roller. 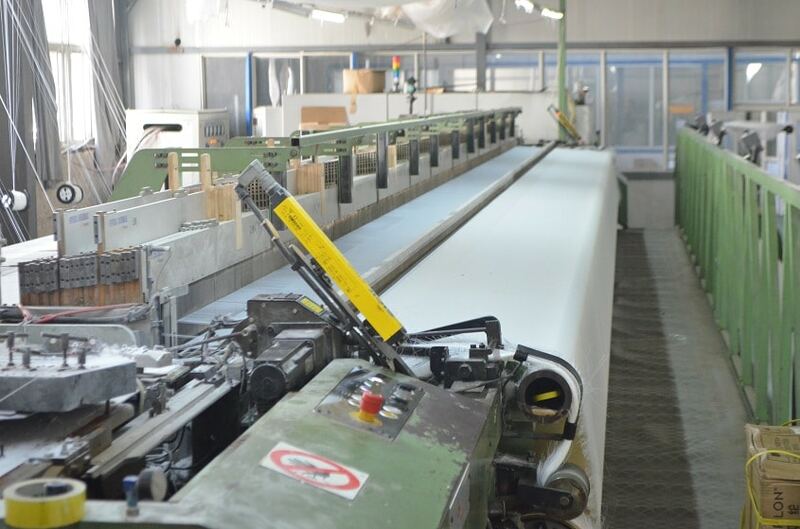 There are many factors that cause paper sickness in the network, and the pulp on the rack, especially on the surface of the suction box, can also cause paper sickness. https://benost.com/wp-content/uploads/2018/05/paper-machine-clothing.jpg 559 845 manage1 http://benost.com/wp-content/uploads/2018/06/benost-logo-1.png manage12018-05-10 11:10:322018-05-30 10:50:45Paper machine clothing prone to paper disease.